When I was a kid, the boys would go for a toad toy for it being ugly and frightening, something to scare the girls with. 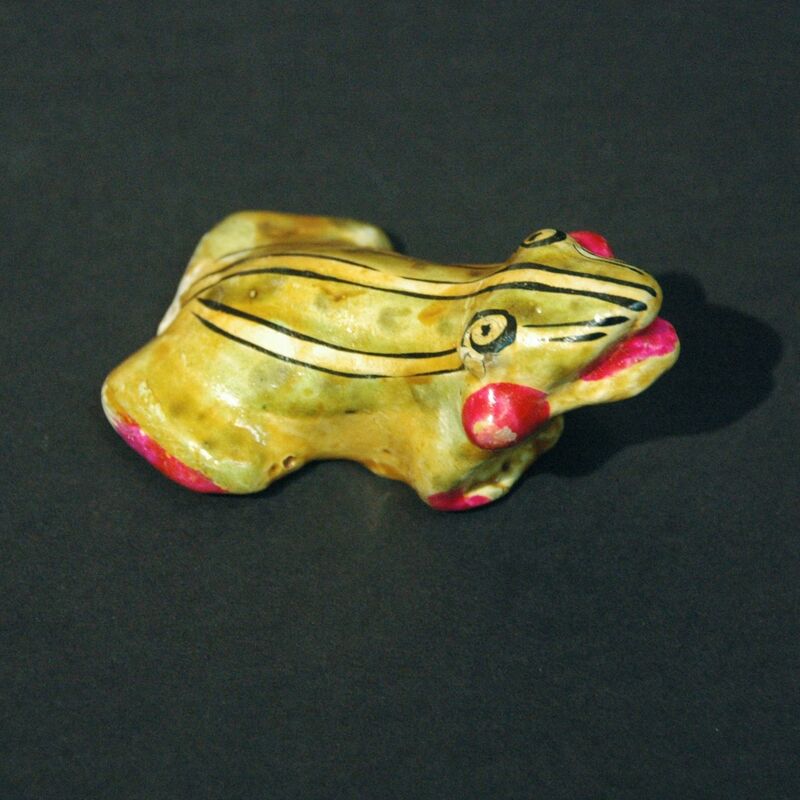 Today, with information from the internet, kids can tell that it is an amphibian of the order anura and probably the particular specie the toy resemble. In the old days, toad is believed to be one of the 5 poisonous creatures (snake, centipede, scorpion, lizard and toad) that could offer protection to the child. They can be found on embroidery, prints, toys, etc.